Edinburgh College is throwing open its doors for a Construction Apprenticeship Open Day on Wednesday 27 May to give young people the chance to find out about career routes into the industry and link up with employers and training providers. 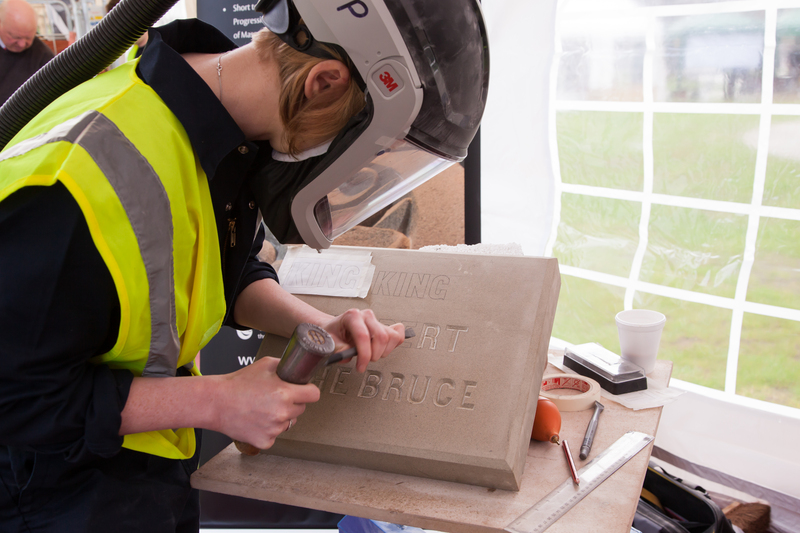 The college has teamed up with the Construction Industry Training Board and Historic Scotland to demonstrate the kinds of apprenticeship opportunities available to potential apprentices, employers and careers advisors. The open day will also give tradespeople the chance to learn about professional development opportunities. The event takes place on Wednesday 27 May from 10am to 6pm at Edinburgh College’s Forthside construction training facility, which will be packed with stands, demonstrations, presentations and the chance to try out construction skills. The day will include a focus on traditional skills. John Laing, head of the Institute of Construction and Building Crafts at Edinburgh College, said: “We’re bringing together key groups from across the whole of the construction industry in one place, to give anyone interested in doing or providing an apprenticeship everything they need to succeed. This is a unique chance to learn about the brilliant opportunities for careers in construction, with an insight into everything from the most modern training techniques to the traditional skills that are essential in maintaining a heritage city such as Edinburgh. Around 30 training providers, construction companies, local councils, universities, equipment suppliers, skills organisations and heritage groups will be on hand to show how they can support apprentices, employers and professionals to find the careers, employees and skills they need, as well as funding opportunities. Guests will have the opportunity to try a range of traditional construction skills including stonemasonry; carpentry and joinery; roofing, plastering; brickwork; painting and decorating; and plumbing, as well as testing their skills on mini diggers. Tool firms will also be demonstrating their latest equipment. There will be a series of talks on the latest developments in construction to keep apprentices and professionals up to date, from research into the effects of weathering on traditional buildings to the maintenance of local canal networks. And hi-tech construction projects, including the Heriot-Watt University and Edinburgh College partnership project the Immersive and Controlled Environment (ICE) Lab, will be giving an insight into how they are keeping construction training at the cutting edge of technology. The ICE Lab uses mixed reality and motion tracking technology to give construction students the chance to experience realistic site conditions in a safe environment, such as being suspended hundreds of feet in the air on a skyscraper. The open day follows Scottish Apprenticeship Week this week from 18-22 May, run by Skills Development Scotland – who will attend the event – to promote the importance of apprentices. Colin Tennant, head of Traditional Skills and Materials at Historic Scotland, said: “There are more than 400,000 traditionally constructed buildings across Scotland and, although the ingenuity and building standards of many of these buildings make them a lot longer lasting than most modern buildings, they still require a significant level of upkeep, which means there is a huge amount of traditional skills work to be done, and expertise required to do it.